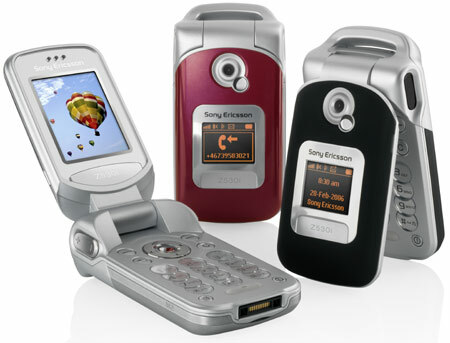 GSM Arena has reviewed the Sony Ericsson Z530. Sony Ericsson launched Z530, their latest clamshell with music features just as we expect the W300 model to hit the market. At first glance, the two phones look very similar since they have exactly the same dimensions, but the W300 has more features and a better display. The Sony Ericsson Z530 seems to be the first officially released phone working with the new Memory Stick Micro (M2) card type. The advantage of Z530 is the expected lower price. Nokia today unveiled the latest addition to the Nokia Nseries family, the Nokia N73, a stunning multimedia computer in a compact and savvy exterior with exquisite photography features and integrated stereo speakers with 3D sound for optimized audio pleasure. In addition to a large 2.4 inch display, the Nokia N73 includes a 3.2 megapixel camera with Carl Zeiss optics, autofocus and support for Internet communities like Flickr - a package ready to challenge any digital camera. No need to plan for the perfect shot - spontaneous photography is inevitable when using the Nokia N73. A high-quality 3.2 megapixel (2048 x 1536 pixels) camera with Carl Zeiss optics, the Nokia N73 provides 'real' photo quality up to 10" x 8" (25 x 20 cm). Thanks to the mechanical shutter and advanced autofocus, photos are sharper, boasting crisp detail with reduced movement distortion, even in low light conditions. Once you've snapped your photos or videos, viewing them is a simple pleasure on the large, high resolution 2.4 inch full screen landscape viewfinder. Scrolling through your images and video clips is like flipping through a photoalbum - and this one is in your pocket. Display photos instantly on the beautiful screen, edge to edge, by simply pressing the dedicated review key. The powerful and intuitive active toolbar interface provides a one-touch selection to effortlessly send photos via email, Bluetooth connectivity or MMS, print or upload them onto an Internet community. Impress your friends by creating a slideshow, complete with your own soundtrack - simply select your favorite images and digital tunes, and enjoy the 3D sound effects reverberating from the integrated stereo speakers. With Nokia XpressTransfer, organizing and moving your images and videos onto a compatible PC is simple. Choose your favorites for immediate printing with Nokia XpressPrint, or select them for convenient printing at a later time from the active toolbar. The Nokia N73 meets a multitude of the everyday user's needs - in one pocketable device. 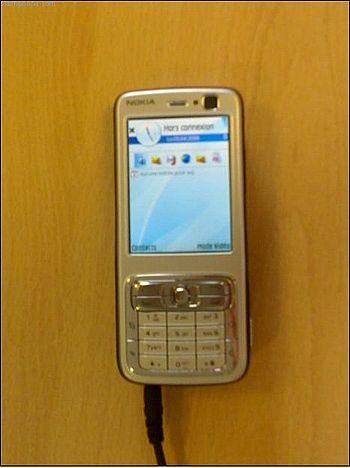 Available in 3G or quadband EDGE/GSM networks, the Nokia N73 has all the diversity of a powerful multimedia computer enabled with the S60 3rd Edition Software on Symbian OS. Music fans can tap into the Nokia N73's integrated digital music player with playlists and equalizer or tune into the FM radio, or simply enjoy productivity features like email, office applications, organizer, synchronization with a compatible PC and browse the Internet with the Nokia Web Browser with Mini Map. See who you are calling and who calls you with the front VGA camera, enabled for video calling*. 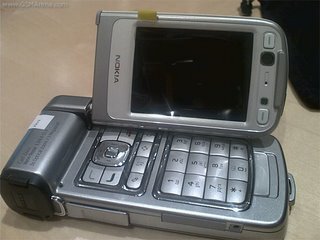 The Nokia N73 is expected be available from July 2006, in three beautifully designed color combinations: silver grey/deep plum, frost white/metallic red and frost white/mocha brown. 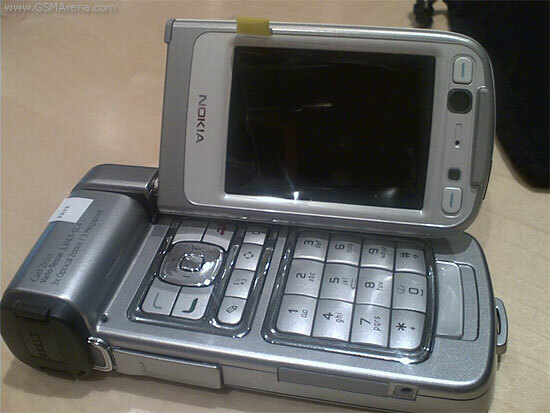 Nokia today revealed the Nokia N72, a sleek and stylish new addition to the Nokia Nseries range. In pearl pink or gloss black, this compact package has high-perfomance multimedia at its core, wrapped in a beautiful design. The Nokia N72 offers the benefits of versatile photography, entertainment and personal productivity to people who value style as much as high performance. A powerful yet stylish multimedia device, the Nokia N72 is equipped with a 2-megapixel camera and integrated digital music player, with dedicated capture and music player keys, an integrated browser, FM radio and support for Visual Radio. The pearl pink and gloss black versions of the Nokia N72 have digital textures on the back, which personalize the device. "The overall design makes a strong statement for the Nokia N72 as a multimedia computer, but the digital textures, or graphics, on the back add a subtlety of personal ownership, that it is my device," Sermon adds. Personalize your Nokia N72 with a choice of digital music tracks, and enjoy music on the go with the integrated digital music player. Press the music key for direct access to your music tracks. Record music from your CDs, create playlists and transfer your music onto your Nokia N72 with the Nokia Music Manager, a part of Nokia PC Suite. Morph your Nokia N72 into a digital camera by sliding open the active lens cover and compose your shot using the high definition 2.1 inch colour display. The 2 megapixel (1600 x 1200 pixels) camera includes an integrated flash, which will make it easy to capture images even in low light conditions. Capture photos or video clips with just one click, and later personalize your gallery image collection with the integrated photo and video editor. Choose your favorites to print or transfer them onto a compatible PC, with the option of online sharing on Internet communities. Matching themed headset and wrist strap are included in sales packs of the Nokia N72. The Nokia N72 is expected to be available from June 2006 in key markets worldwide, including the Middle East and Africa, Russia, Eastern Europe, mainland China, India, Indonesia, Thailand, Vietnam, Malaysia and the Philippines. 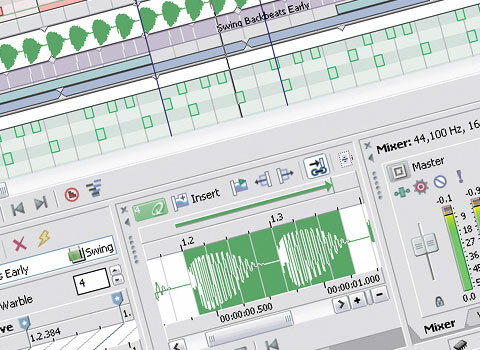 Sony's ACID is a popular loop-band music production application.